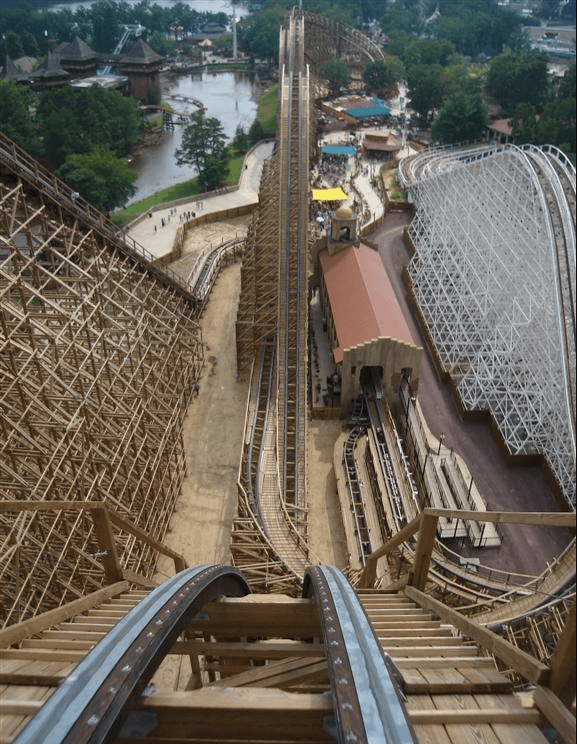 El Toro is one of the worlds longest wooden roller coasters. El Toro translates from Spanish to The Bull. The coaster is located in Jackson, New Jersey, at Six Flags Great Adventure. 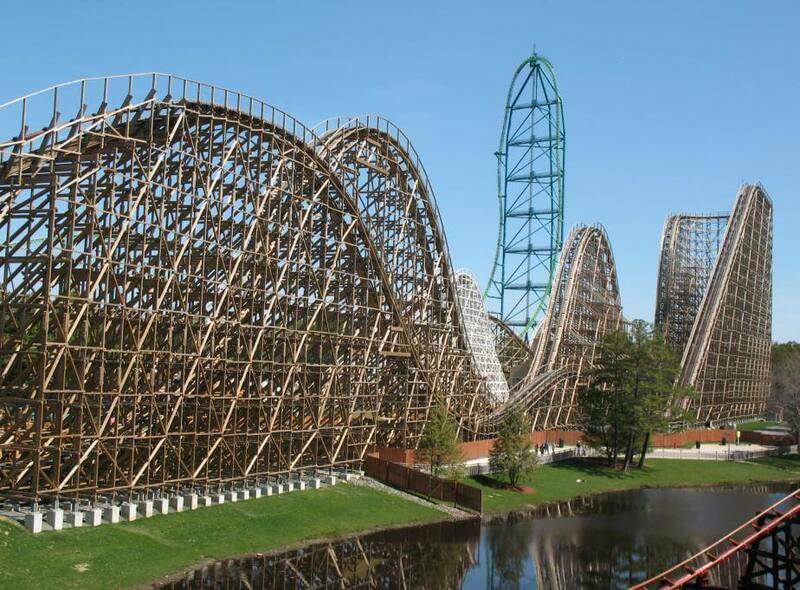 As a wooden coaster it has the highest top speed and longest track in the world. The top speed is 70 miles per hour and the track’s length is 4,400 feet. 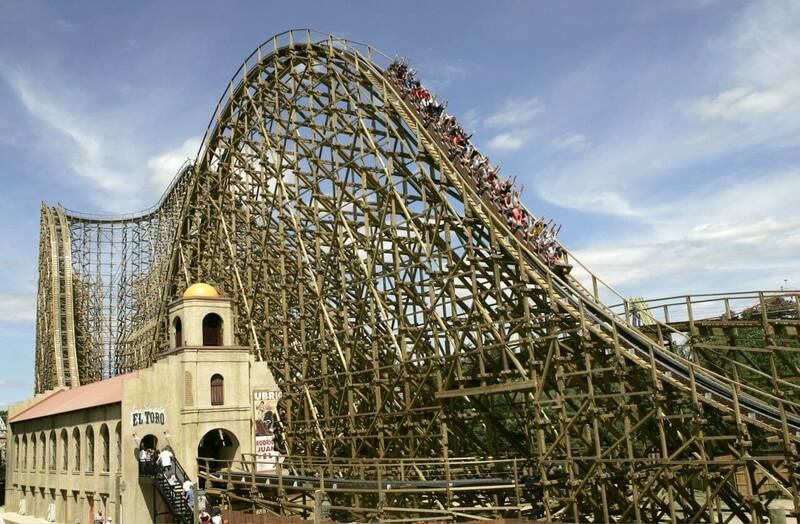 On the list of top wooden roller coasters El Toro received a Golden Ticket Award in 2012. El Toro uses a cable lift rather than the traditional chain lift used for pulling a coaster up hill which is a first for a wooden coaster. The track is unique from other wooden coasters because it uses a prefabricated track which means that the track is laser cut in a factory. The prefabricated track is cost effective compared to having it designed the original way, normally the tracks of a wooden coaster are handcrafted by man.